Dean Moon: Creator of Mooneyes Go With Moon! That's right! 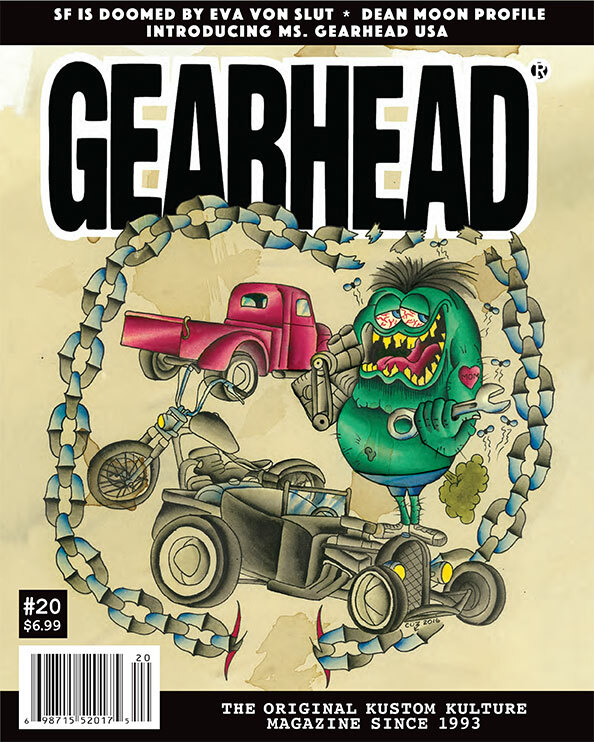 Gearhead has entered the 21st Century and is now available for digital download! Love the magazine but aren't into print? Well folks, click on a cover below and get your very own copy of two out of print issues directly in your inbox with the click of a mouse. And even better, the brand new issue of GEARHEAD is now available for download! Still dig the printed page? Well, you can buy these as a print-on-demand too, and get a digital download for free to share with your techy friends! The world's first kustom kulture magazine about hot rods and rock and roll! This issue features Bonneville from Every Angle, The Donnas Tell All, Billet Proof, Invasion of the Backyard Built Bombs, Gearfest, Gearhead Radio, video reviews, Bobo Tech, Gerry Steiner, the world's fastest Austrian, the coolest Firebird ever, record reviews, and more. 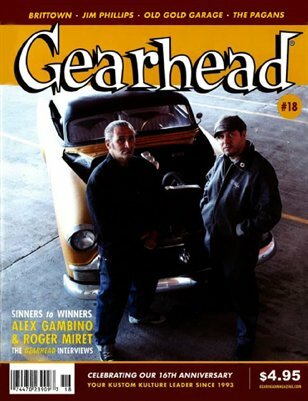 Get more back issues of Gearhead here! 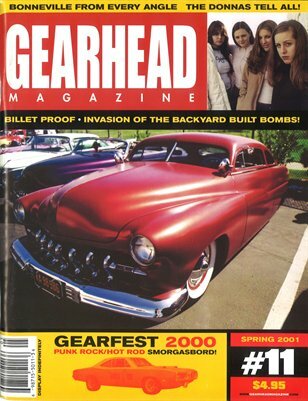 From its inception in 1993, Gearhead® Magazine has been unique in the world of automotive journalism. Focusing on the lifestyle surrounding car enthusiasts, including muscle cars and hot rods, rock and roll and the low-brow art scene, the magazine has become the go-to source on the combined influences of pop culture, music and clothing on car culture and vise versa. 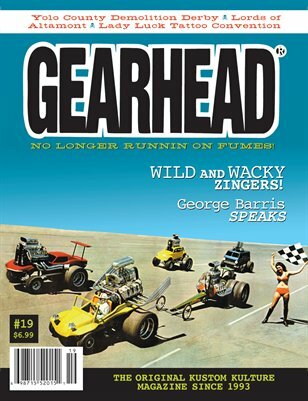 ​Now in its twentieth year, GEARHEAD is published by parent company Gearhead Productions, Inc. The magazine is a heady mix of high octane punk 'n' roll, pop culture and the grease of American car culture all rolled into 84 pages of black and white gear-grinding page-flipping goodness. Live Fast, Be Weird!